In the opening weekend action of the NCAA women’s volleyball tournament, the No. 3 University of Wisconsin swept both their opening round and second round games, defeating Howard University Thursday and then Washington State University Friday. In their match against Howard, UW won in three dominating sets of 25-11, 25-18 and 25-10. 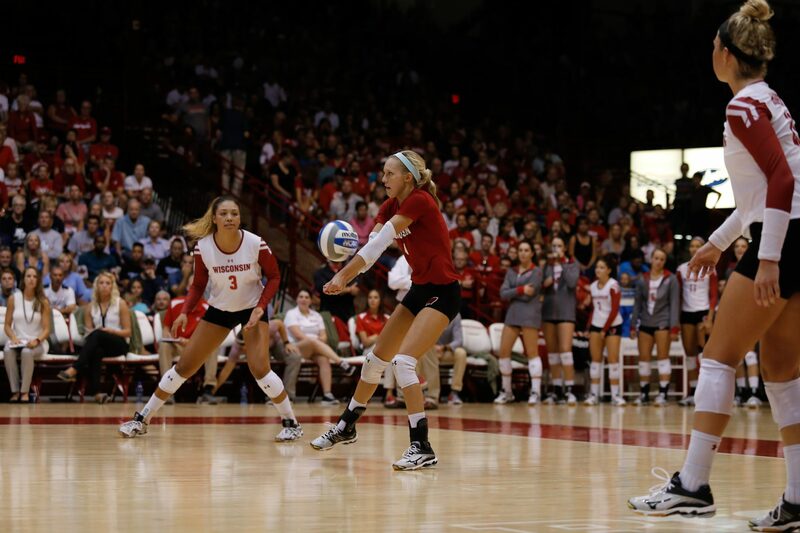 Senior setter Lauren Carilini led the way for the Badgers as she has done all season. The senior setter recorded 41 assists in the match, as well as a service ace. Offensively, the team relied on freshman outside hitter Molly Haggerty, who led the way for the team with 16 kills. As Howard’s low scores might suggest, Wisconsin won the game with solid defense and avoiding mistakes. Junior libero Kelli Bates set the tone defensively for the Badgers with a team-leading 14 digs out of the team’s total of 49. The team also notched eight blocks on the night, which were evenly distributed throughout all the women playing in the front row. Friday night, the team came to the court at the UW Field House to try and defend their home arena against Washington State, who had defeated Marquette in three sets the night prior to advance to the second round. 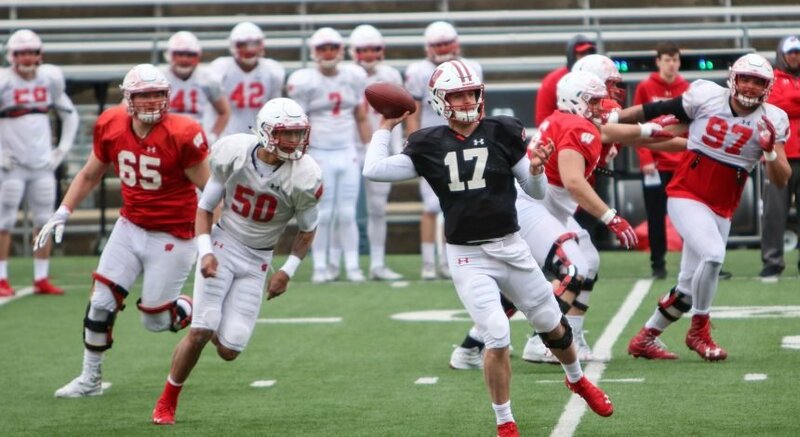 The Cougars suffered the same fate as almost every other team to play in Madison this year when they lost to the Badgers, who brought their home record up to 13-1 this season. 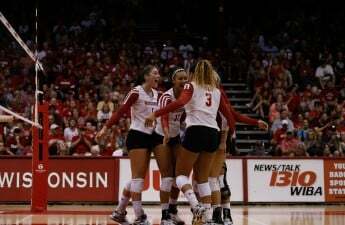 Wisconsin won in three sets, 25-18, 25-18 and 25-17. The recipe for Friday’s win was more of the same for the home team who recorded less errors and more kills than Washington State. The Badgers also out-defended their counterparts, tallying 13 saves to the six of the Cougars as well as 43-37 advantage in the digs column. Individually, the two players with the most impressive nights for the Badgers were junior outside hitter Lauryn Gillis and senior middle blocker Haleigh Nelson. Gillis led Wisconsin with 12 kills and recorded the team’s only solo block, while Nelson scored eight kills on 15 attempts as well as adding seven block assists. Carlini once again led the team in assists with 33 while Bates set the defensive tone with 10 digs. The UW plays again this Friday when they take on Ohio State University, who won against Missouri State University and upset No. 14 Kansas State University to advance past the first weekend. The winner will play in the national quarter finals against the winner of Florida State University and No. 6 Stanford University.